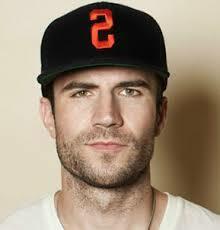 Let me ease you into the weekend with this amazing track ‘House Party’ by Country star Sam Hunt! “Country!” I hear you say, well…erm…yes a new discovery for me since listening to UK band The Shires and I’m sure glad I went investigating other artists in the genre – how else would I have come across this bad-boy of Country music? whose fresh ideas and interspersing influences are changing the way we listen to and play this genre. ‘House Party’ is a great song with a playful story line of just wanting to hang out at home but then friends come over and bring the party to you! A moment that I’m sure people can relate too – just watch the video…wouldn’t you want to be there partying too??? And just who is this guy with an album called ‘Montevallo’ blowing up the airwaves of America? Well Musicvein is on the Sam ‘Hunt’ (no pun intended) to find out more – watch this space as I try to get an interview and learn more!